Does your HP laptop computer’s video freeze, experience graphic glitches or encounter rebooting issues? These problems usually occur due to the laptop video card or graphic card’s overheating issues and temperature fluctuations. 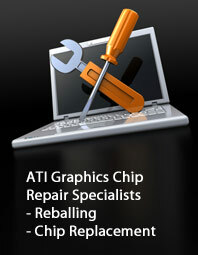 At Creative IT, we specialise in providing comprehensive HP ATI graphics repair and preventive maintenance solutions in order to get your HP notebook computer back up and running as fast as possible. Before suggesting any repair options, we carefully review your laptop to detect the causes of the issues that can range from defective video card to improper installation of drivers and operating system incompatibility. On the basis of the intensity of your HP laptop computer’s graphic issues, we provide specialist reflow or Ball Grid Array (BGA) reballing services with a 90 day back to base warranty. 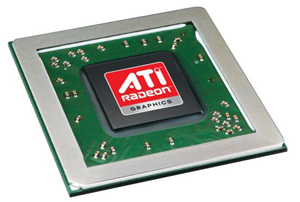 There are also circumstances in which our HP ATI graphics repair services will necessitate replacing the faulty ATI GPU (graphics processing unit) with a new one at reasonable rates. So if your laptop or notebook computer displays any of the below mentioned issues, just get in touch with our London laptop video card and graphics card repair and replacement specialists and hand over your notebook PC to us. Our team of experienced technicians will efficiently remove and reball your defective or faulty graphics processing unit or GPU and subsequently reattach it to the notebook motherboard by means of the latest BGA reballing equipment. If you require HP ATI graphic repair or replacement service and are not located in London, no problem, we can provide secure nationwide pickup and delivery service throughout the UK. When the necessary ATI GPU (graphics processing unit) repairs have been completed, we make appropriate arrangements to deliver your notebook computer back to you. If you are certain that your HP laptop has a video card or graphics card issue, don’t delay in bringing in your defective laptop to our Central London repair store at 80 Willow Walk, The Willows, Unit 1, London SE1 5SY. Customers can in addition reach us on 020 7064 4999 or email our support team at info@atigraphiccardrepair.com to know more about our quick, reliable and reasonable HP ATI graphics repair and replacement services in London, UK. We are open Monday through Saturday from 9 am to 6 pm. © Copyright 2010 www.atigraphiccardrepair.com All Rights Reserved.